Upfronts week is still going strong as today is The CW’s Upfront day and with their upfront coming up later in the day, the network has officially announced its 2016-2017 schedule. 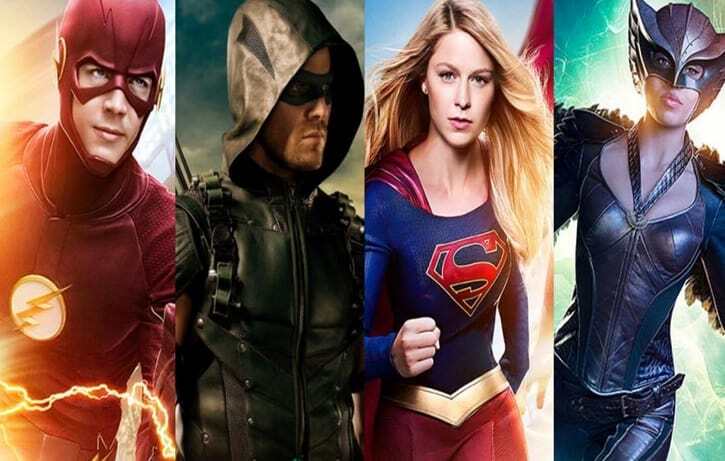 The schedule reveals the new timeslots for Supergirl which is moving from CBS over to CW and the addition of the new series Riverdale, based on Archie Comics. The full schedule can be found below which also includes The Flash, Legends of Tomorrow and Arrow. As a new school year begins, the town of Riverdale is reeling from the recent, tragic death of high school golden boy Jason Blossom — and nothing feels the same… Archie Andrews(KJ Apa) is still the all-American teen, but the summer’s events made him realize that he wants to pursue a career in music — not follow in his dad’s footsteps–despite the sudden end of his forbidden relationship with Riverdale’s young music teacher, Ms.Grundy (Sarah Habel). Which means Archie doesn’t have anyone who will mentor him — certainly not singer Josie McCoy (Ashleigh Murray), who is only focused on her band, the soon-to-be-world-famous Pussycats. It’s all weighing heavily on Archie’s mind — as is his fractured friendship with budding writer andfellow classmate Jughead Jones (Cole Sprouse). Meanwhile, girl-next-door Betty Cooper (Lili Reinhart) is anxious to see her crush Archie after being away all summer, but she’s not quite ready to reveal her true feelings to him. And Betty’s nerves – which are hardly soothed by her overbearing mother Alice (Mädchen Amick) aren’t the only thing holding her back. When a new student, Veronica Lodge (Camila Mendes), arrives in town from New York with her mother Hermione (Marisol Nichols), there’s an undeniable spark between her and Archie, even though Veronica doesn’t want to risk her new friendship with Betty by making a play for Archie. And then there’s Cheryl Blossom (Madelaine Petsch)…Riverdale’s Queen Bee is happy to stir up trouble amongst Archie, Betty, and Veronica, but Cheryl is keeping secrets of her own. What, exactly, is she hiding about the mysterious death of her twin brother, Jason? Riverdale may look like a quiet, sleepy town, but there are dangers in the shadows… Based on the characters from Archie Comics, RIVERDALE is from Warner Bros. Television and CBS Television Studios, in association with Berlanti Productions, with executive producers Roberto Aguirre-Sacasa (“Supergirl,” “Glee”), Greg Berlanti(“Arrow,” “The Flash,” “Supergirl,” “DC’s Legends ofTomorrow“), Sarah Schechter (“Arrow,” “The Flash,” “Supergirl,” “DC’s Legends of Tomorrow“) and Jon Goldwater (Archie Comics). Legends of Tomorrow airs its Season 1 finale tonight on The CW at 8/7c. The Flash is scheduled to air its Season 2 finale on Tuesday, May 24 with Arrow the following night on May 25, both at 8/7c. Maybe it’s on at 10 or they moved it back to midseason? The fall schedule reveal means that Riverdale, The 100, iZombie, The Originals and Reign will get pushed to midseason and get shortened seasons. I wonder if Supergirl moving to CW means it will be on Hulu now? I hadn’t even thought about that, but I certainly hope so.